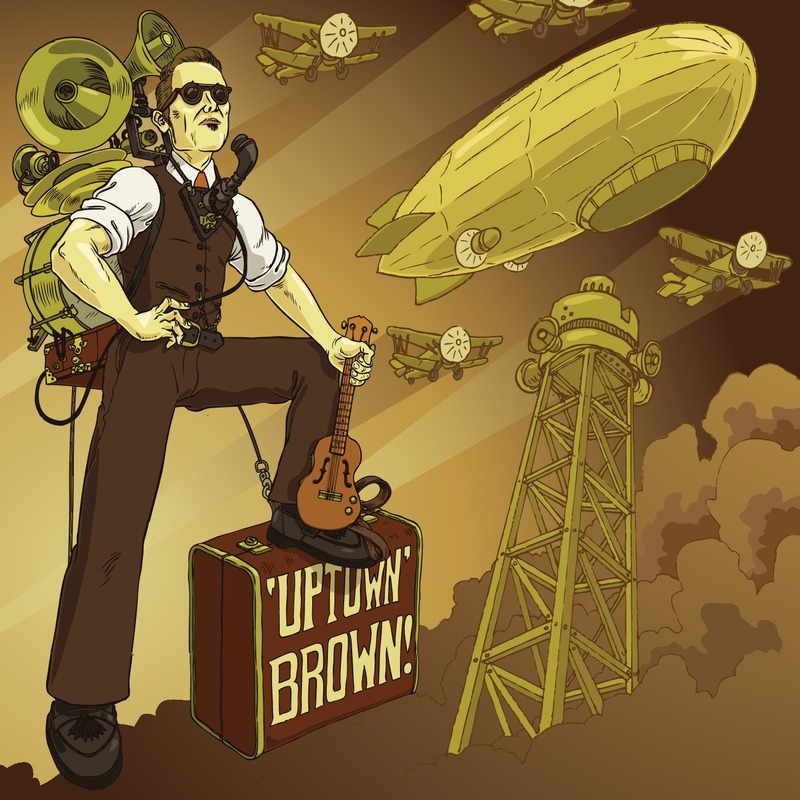 "Uptown" Brown! 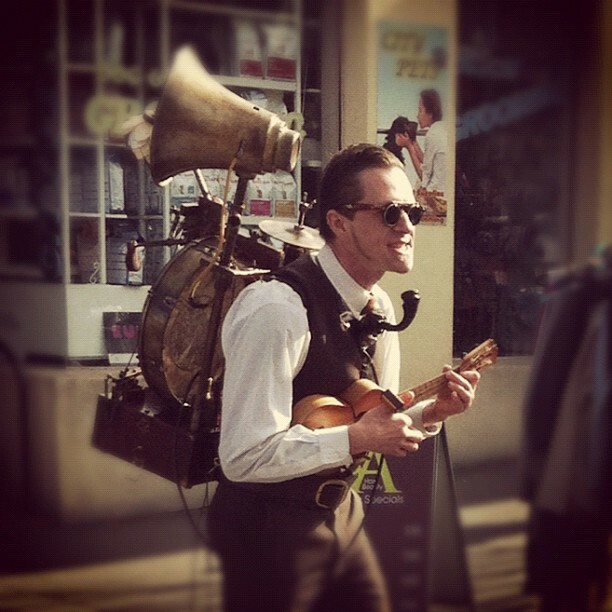 | One Man Band Extroadinaire. EXCITED to announce a BRAND NEW RECORD! Entitled ‘The Sheik of Araby’ it chronicles my most recent adventures in exotic lands and features 16 old timey tracks – guaranteed* to have you yodelling along whilst beating a rusty biscuit tin with a wooden spoon. Simply Paypal $15 to mr.andywilliamson@gmail.com and I shall post one out with the prompt efficiency for which musicians are famous. (*not actually properly legally guaranteed). “Uptown” Brown’s cinematic debut playing San Francisco Bay Blues, a tribute to legendary one-man-bandsman Jesse Fuller. With special guest starlet, Miss Whimsy Du Pont. On set with starlet Miss Whimsy Du Pont! “Uptown” in action, Camberwell market, July 2012.